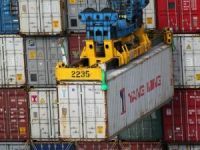 Asia-Europe spot container freight rates have dropped to an unprecedented low of zero dollars, with cargo owners just paying for bunkers. 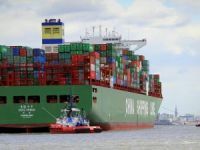 As the global financial crisis continues, Asia-Europe spot container freight rates have dropped to an unprecedented low of zero dollars, with cargo owners just paying for bunkers. 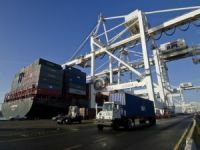 Industry sources in Singapore said there were a growing number of boxes being shipped from Asia to Europe at freight rate of zero dollars with lines merely charging bunkers and other surcharges on top. Rates from South China to Europe have been offered at a freight rate of $0.00 plus bunker adjustment factor for sometime now. Initially it would appear lines offered "all in rates" which were similar in quantum but the lines involved could at least manage not to reduce the bunker adjustment factor when bunker prices fell further. Spot box rates from North Asia are quoted at $200 all in, which leaves little, if any, real freight rate beyond fuel cost recovery. An industry source said that the market was ?very bad?. 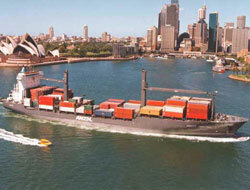 On the issue of zero freight rates from Asia-Europe, he said: ?I believe it is very widespread?. ?I"ve never heard of freight rates going to zero; this a whole new ball game,? he added. A senior executive with a European line confirmed that spot rates of zero were being offered by some lines, with customers just paying terminal handling charges, although he stressed that this was the low point and not the average. ?For zero freight rate I don"t think we"d accept that, it doesn"t make any sense,? he said. 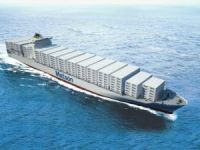 However, another industry executive explained it was better to at least recoup basic costs such as bunkers, but charge zero freight, rather than sail with the slot completely empty. Looking at the situation from a positive point of view, he said: ?Rates have almost bottomed out because they can"t go much lower.? With the demise of the Far Eastern Freight Conference accurate data on the state of the trade as a whole has become much harder to come by but clearly the trade underwent dramatic contraction in the latter part of 2008. Even with large cuts in capacity by lines across the board, resulting in reasonable utilisation rates of around 80%, rates continued to tumble. Indicating just how badly hit the Asia-Europe trade has been hit by the global financial crisis, container volumes in the port of Singapore plunged 14% year-on-year in December, 2008. Singapore port"s business is largely based on the transhipment trade from surrounding nations into the Asia-Europe trade. The decline in the trade is expected to continue this year. ?The case for trade decline to Europe out of Asia in 2009 is about negative 9%,? 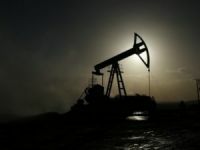 said Transport Trackers analyst Charles de Trenck in a report, noting that it had heard a range of a 3%-13% contraction in the market. The executive from the European line warned that there could be some casualties if the market situation continued for another six months. However he was also hopeful that volumes would begin to return as inventories had been run down, resulting in an upturn in exports from Asia to Europe.